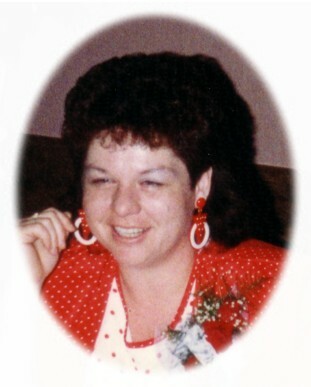 Passed away peacefully on Monday, April 29th, 2013 at Peterborough Regional Health Centre in her 57th year. Beloved daughter of Doreen and the late Lorne Barker. Loving mother of Kevin and Keith (Lori) Phillips. Loving grandmother of Drew (deceased), Zachary, Kaleb and Jacob “fluffy”. She will be sadly missed by her siblings Sheryle of Beaverton, Gary of Lindsay, Gerald of Sarnia, Doug of Lindsay, Nancy of Woodville, David of Omemee and Barb of Oakwood. Fondly remembered by her many nieces, nephews and friends. The family will receive friends at Parker Funeral Home and Cremation Centre, 19 Moose Road, Lindsay on Thursday, May 2nd from 7:00 pm - 9:00 pm. Funeral service will take place in the chapel on Friday, May 3rd at 2:00 pm. Interment at Riverside Cemetery, Lindsay. Luncheon to follow at 65 Melbourne Street West in the common room at Community Village. If desired, in memoriam donations to the Canadian Diabetes Association would be appreciated by the family and can be arranged by Parker Funeral Home, 705-324-1988. Online condolences may be made at www.parkerfuneralhome.ca.